Vivian Giang-Colgan epitomizes integrity, energy, hard work, and creative in every detail of the mortgage transaction. For the last 19 years, she has been invited into many families and directing them through the mortgage maze with the end result, the pride of homeownership. Her first mortgage experience was to help her family to purchase a first home in The United State. Being an immigrant with the language barrier at base, the unfamiliar mortgage process was quite stressful and overwhelming. Recognizing the needs for first time homebuyers, and the passion to help others, her career path in mortgage was set. In 1999, she eagerly entered the internship program with the local mortgage broker in Michigan called Allied Mortgage. After graduating from The University of Michigan with the BBA degree in Finance, she transplanted to Florida in 2003 and accepted a job offer from Countrywide Home Loans, then joined Bank of America later as a home loan consultant. She became part of East Coast Mortgage Lenders on 2008 and continued being part of their incredible team of operating and managing to help thousands of homeowner dreams come true. On her personal level, she is married to her best friend, Trace Colgan, for 20 years. She and husband have two beautiful young daughters, who she devotes most of her time beside work. Whether you are a first-time home buyer, looking to a trade up, deciding to downsize, or simply wishing for a change, Vivian can help you to analyze your budget, income, credit, and complete the qualification for a conventional, FHA, or other “out of the box” programs. Many factors are considered in the loan approval process, and interest rate is not the only one element to complete the mortgage transaction. 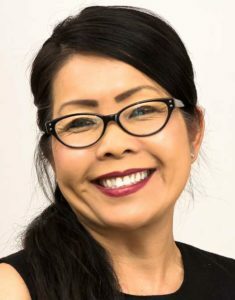 Utilizing Vivian’s background in finance, her extensive mortgage training for almost 2 decades, her multiple languages skill in Chinese and Vietnamese, and most but not last her determination and commitment to help you achieve your homeownership in a positive way.